This review is about item#37175722. Since it is not fluffy, I think that it is a good item because it does not matter even if putting it in the gap of the precision machine. This review is about item#9435851. Since the shaft is solid and solid, easy to hold and easy to work. There was also a length and it was perfect for work content. This review is about item#9435867. 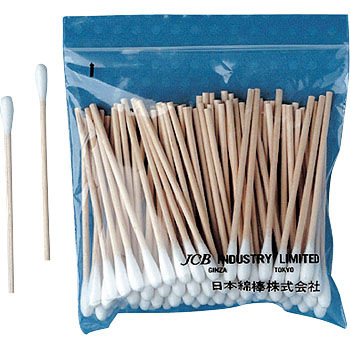 With ordinary cotton swabs, it is difficult to clean things that are deep inside the head, but if you use this, you can clean it thoroughly. Also, since the handle is long, you can fine-tune the degree of power entry. This review is about item#09435867.